June 3, 2013, New York – McGraw-Hill Professional, a leading global provider of print and digital engineering content, and the Society of Broadcast Engineers (SBE), the professional organization of television and radio engineers, are proud to announce a new project to create a standard reference handbook for the broadcast engineering field. 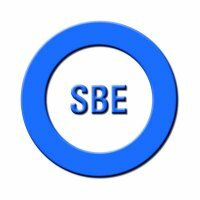 The SBE Broadcast Engineering Handbook will be edited by Jerry Whitaker, Vice President of the Advanced Television Systems Committee, and written by dozens of subject experts drawn from the broadcast engineering community. This comprehensive handbook will explain DTV (digital TV) and DAR (digital audio radio) within the context of existing radio and TV technologies, providing key equations and reference data used in the design, specification, and installation of broadcast transmission systems; the Handbook will publish in Spring 2015. Ralph Hogan, president of the Society of Broadcast Engineers, said, “We are very pleased to be working on this important project with such a respected publisher as McGraw-Hill Professional. This new publication is among the many efforts the society has done and will do in the future to help provide quality educational resources to our members and the broadcast engineering community”.